If you haven’t taken your lunch/coffee/dinner break yet, let us make a few recommendations. 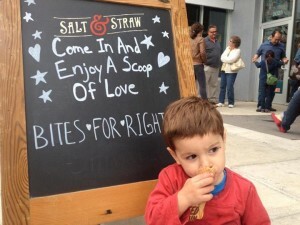 Today is Bites for Rights, which means that participating restaurants are contributing a portion of their proceeds to Basic Rights Oregon the statewide LGBT rights org—when you eat there today. If that wasn’t enough motivation to eat out today (as if you really need an excuse), you could even win a prize via BRO’s Bites for Rights social media contest.